When is a recipe not a “recipe?” Perhaps when a dish is not a “dish.” When it may read the same on the menu, and it may actually be the same, though the ingredients as well as the presentation and even the preparation may be different. So it is with Chef Roberto Alcocer’s enselada de huerto at Malva Cocina de Baja California (Km. 96 Route 3, San Antonio De Las Minas, Baja) in the Valle de Guadalupe. 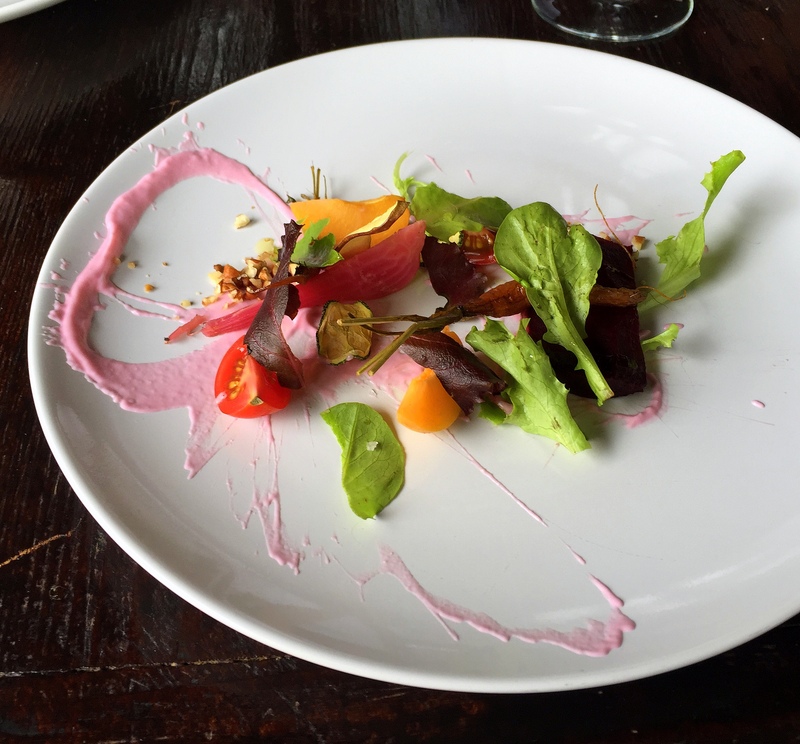 Last week, I posted an interview I conducted with Chef Alcocer. As that article indicates, he is one of the foremost Chefs in the Valle de Guadalupe, ground zero for one of the most remarkable culinary movements happening today. Variously called “BajaMed” or “Nuevo Cocina de Baja” or even “Cali-Baja” it is built on the spectacular ingredients available in Northern Baja filtered through the lens of European techniques and the various cultures that impact on the place. Some who have written on Chef Alcocer some say his signature dish is the lamb – slowly roasted in a wood-fired oven for fourteen hours and then pressed into a perfect cube – sitting atop a creamy cauliflower pureé bathed in a reduction sauce from the same lamb. Others say it’s the grilled octopus rubbed with chile de arbol atop a crema of buttered popcorn. For me, though, it’s his garden salad. Yes. 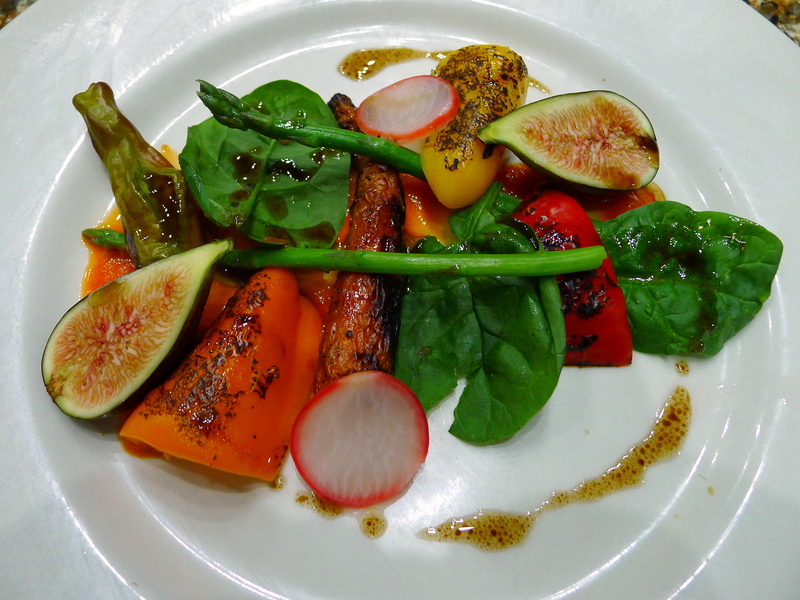 The garden salad. The enselada de huerto. But this is more then just some lettuce and a dressing. 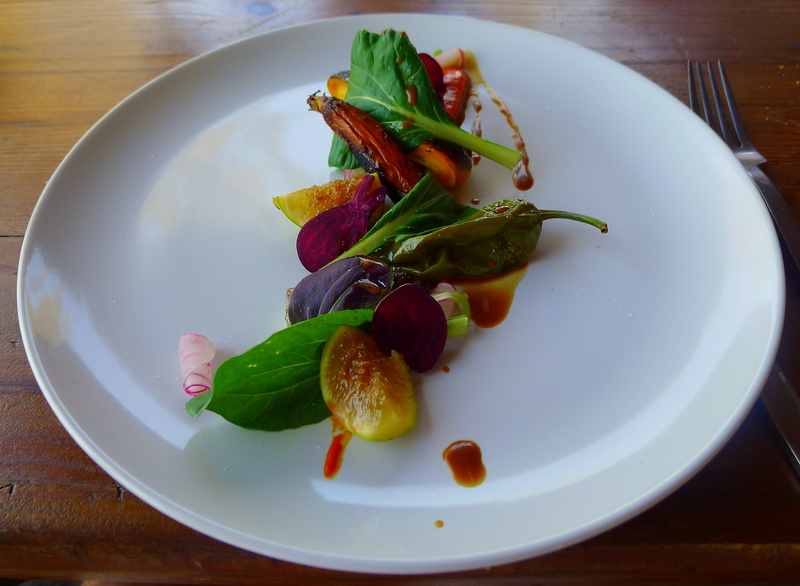 It is the freshest possible produce from the gardens on the same property as Malva prepared in a variety of ways and presented as something way more than a simple salad. It is different every time because the produce at peak differs from day to day. And yet the dish is fundamentally the same from day to day. Want the recipe? You can’t have it. “Why,” you ask. Did I not ask the chef for the recipe? Of course I didn’t. It would have been futile. I suspect he would have been happy to give it to me if he could. But, unless I miss my mark, he couldn’t. How can that be? Easy. Because I strongly suspect there is no “recipe” for this dish. It is a concept. It is an approach. It is a theory. If I’m right, this is how it goes: start with the rules. Use only the freshest ingredients – some vegetable, some fruit. Use them, when possible, in more than one way, using more than one technique: fresh, raw, pickled, pureed, roasted or grilled. The dressing, often made using one of the ingredients featured elsewhere on the plate, ties it all together. For example, the base of the plate could be a puréed ingredient, a squash for example. Arrange some leafy greens around the plate. 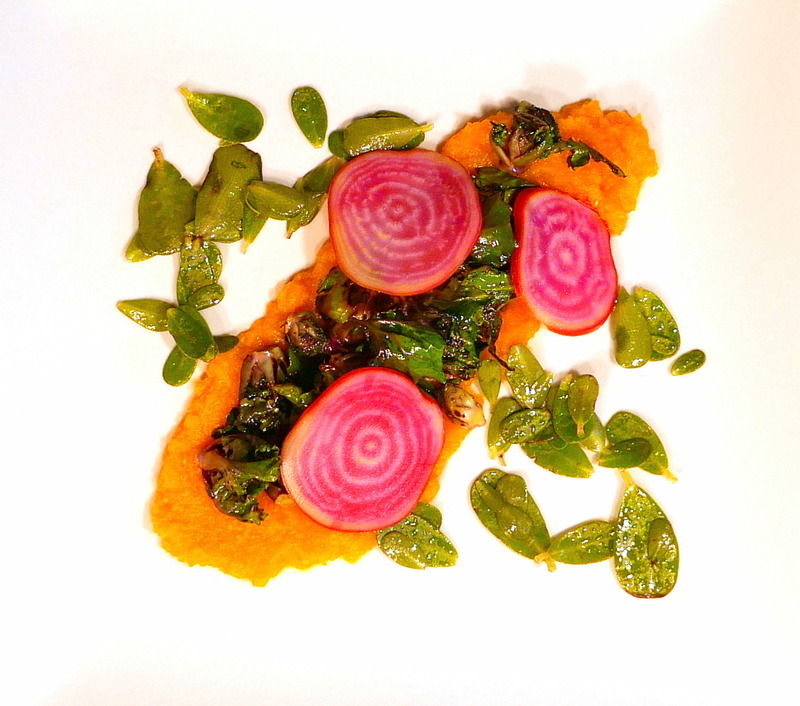 Sit some roasted beets in the purée with some pickled beet slices elsewhere on the plate. Fresh tomatoes and figs could have a roll to play. Dress it with some sort of herb vinaigrette or a crema made with one of the vegetables in the dish. At its best, Malva’s enseladas de huerto are spectacular, perfect dishes. They are never worse than interesting. Invariably they are the dish to which I look forward most at Malva. My efforts at the re-creating the dish have not gotten me to “spectacular” and certainly not “perfect.” They have, however gotten me to “damned good.” At the other end, they’re still a tasty salad. Have fun with it. Try it yourself and let me know how it works for you. You won’t even need a recipe.